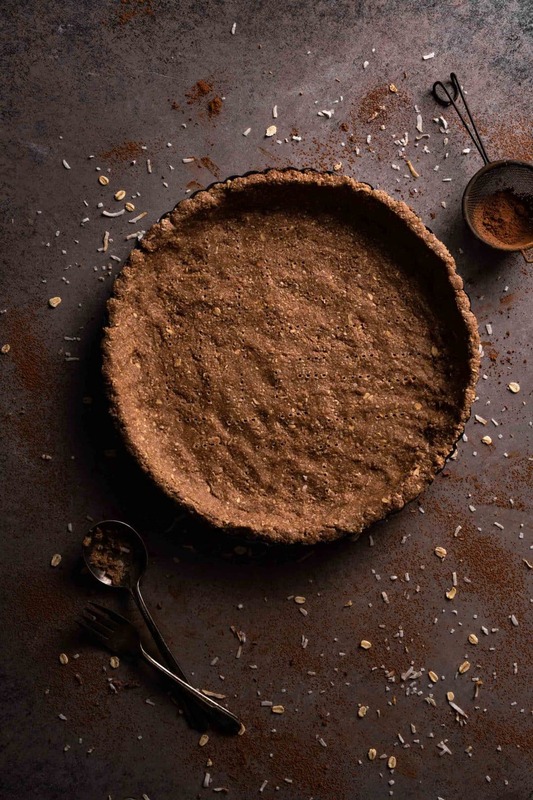 Chocolate Tart Crust pairs well with any flavor tart filling. Mixing a touch of Cacao powder, toasted coconut, and maple syrup, this is one crust you will want to make again and again! Try Cacao Powder instead of Cocoa for a light chocolate taste and soft brown color. Use the back of a spoon and your fingertips to gently press into the bottom and sides of the pan. Make the crust slightly thicker on the sides than across the bottom. Poke holes across the bottom layer with a fork before baking. Chill for 10-15 minutes before placing in the oven. Let crust cool completely before adding filling. 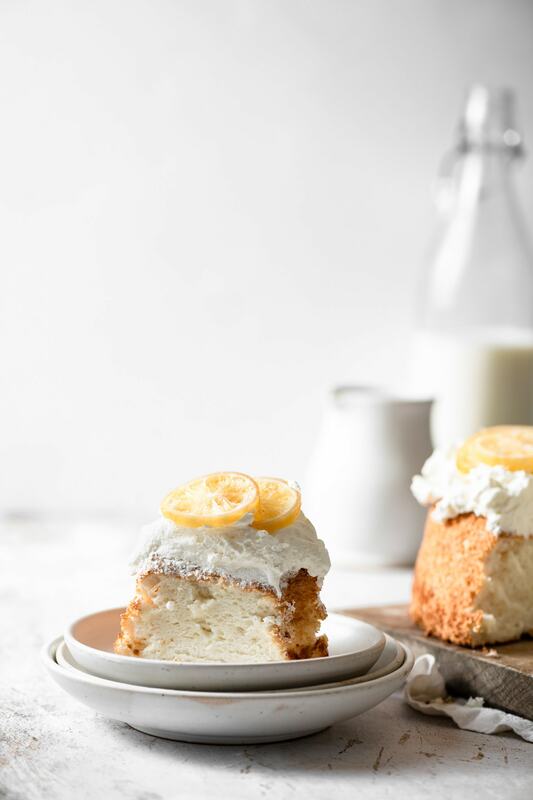 This Tart Crust Recipe is made with Quinoa Flour, Toasted Coconut, and Gluten Free Rolled Oats. Blending all ingredients in a food processor creates a perfect crumb like texture for the crust base. Maple Syrup and Coconut Oil are the binders that help hold everything together. 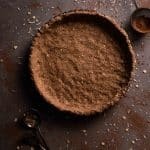 Chocolate Tart Crust pairs well with any flavor tart filling. Gluten Free and Vegan Crust mixing a touch of Cacao powder, toasted coconut, and maple syrup. Toast Shredded Coconut by pouring onto parchment paper lined baking tray. Bake at 300 F for 4-5 min, stirring a couple times for an even bake. Once coconut is slightly browned, remove from oven and let cool. Prepare a 12.5 inch round tart pan. Spray with baking spray and line bottom with parchment paper. Combine Quinoa Flour, Oats, and Shredded Coconut into a food processor or blender and pulse until resembles cornmeal. Transfer powder into a large bowl. Whisk in cacao powder, salt, cinnamon, and nutmeg. Pour in vanilla, maple syrup and coconut oil. Stir with a large spoon until well combined. Spoon crust into tart pan and gently press an even layer across the bottom and into the grooves of the sides. Prick several fork holes across the bottom of the crust. Place in the fridge for 10-15 minutes to firm. Set crust on a baking sheet and bake for 20-22 minutes until browning around the edges with a strong fragrant odor. 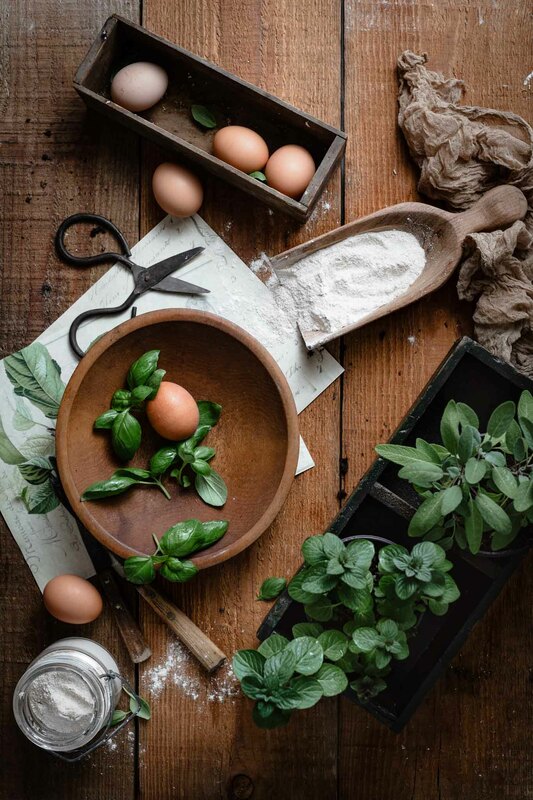 Let cool on a wire rack in tart pan. Make sure tart is completely cool before adding any filling.